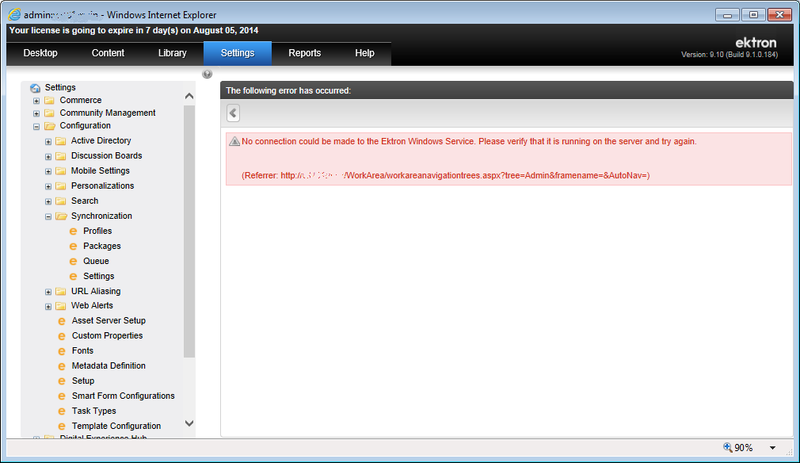 No connection could be made to the Ektron Windows Service. Please verify that it is running on the server and try again. This occurs because the Ektron Windows Service is not present, has not started, or has not finished starting up; see The Ektron Windows Service: is it really started? for troubleshooting issues related to Ektron Windows Service start-up.